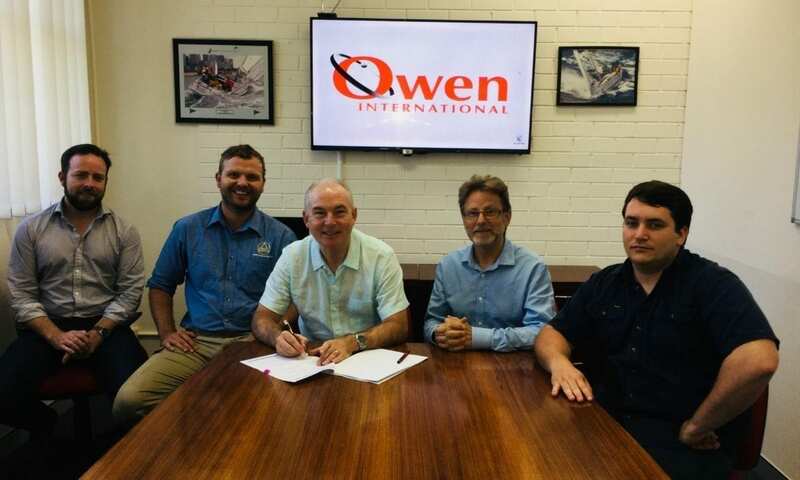 The MOU will see AGI and Owen International working together to support the growth of Sovereign Australian Industry capability and contribute toward building the expertise and skills of personnel supporting the Royal Australian Navy (RAN). This will include the commissioning of specialist Ships Visual Landing Aid test and support facilities in Sydney, previously only available overseas. Under the new agreement Marine Technicians Australia (MTA) will provide specialist personnel from facilities in both Sydney and Henderson Western Australia to conduct servicing and repair work onboard RAN vessels. “Our HELIVAS visual approach system is one of the most advanced suites of visual landing aids in the world, and is fitted to the majority of RAN aviation capable vessels. We are delighted to be able to transfer leading edge technology to Australia, in a move that will strengthen AGI’s global support footprint and better meet the operational needs of the RAN,” AGI CEO Geof Eeles said.